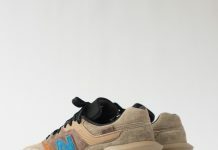 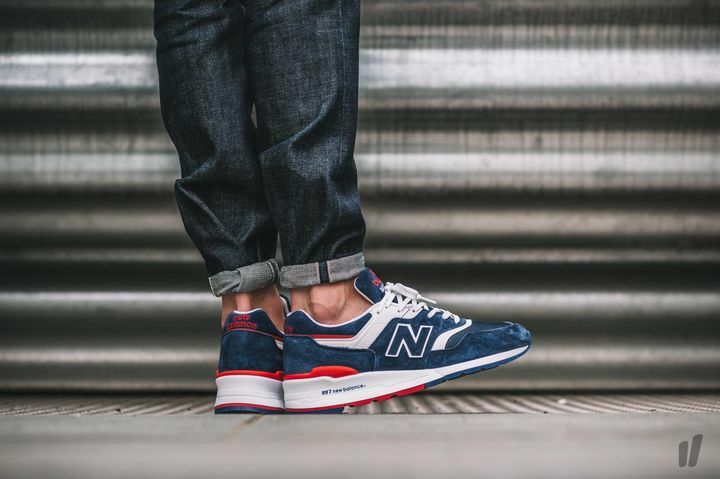 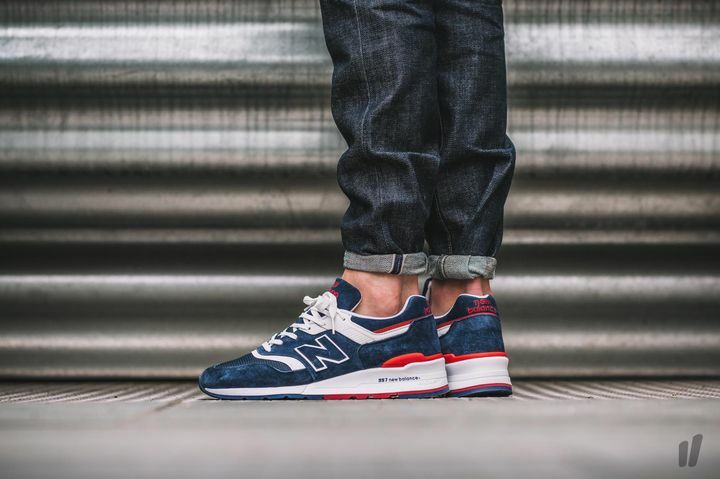 New Balance continues the 997 series with a suede iteration that is part of the Made in the USA line. 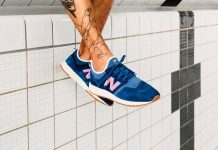 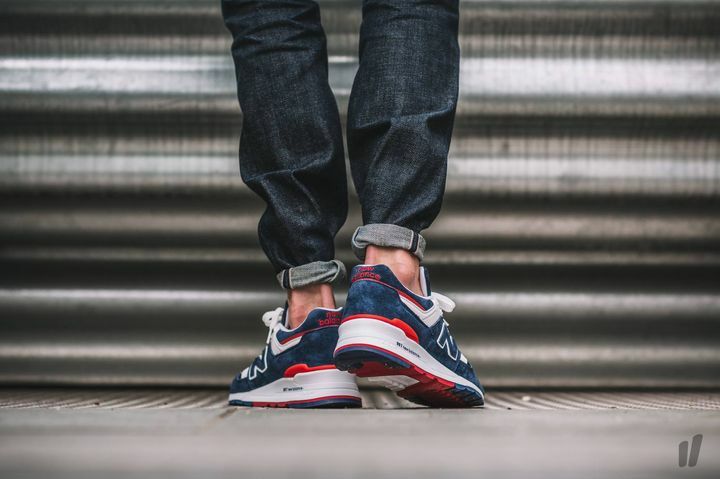 The buttery Boston made colorway features a patriotic theme of red, white and blue, and is made up of suede panels complimented by grey paneling on the uppers. 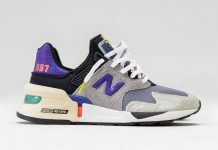 Look out for these at New Balance retailers across the U.S or overseas at retailers like Overkill.